A Singapore Quality Award company that has embarked on the Business Excellence journey since 2008. Thriving to be a world-class knowledge-based company that offers total and innovative, environmentally friendly packaging solutions to the customers. Partner with customers to re-engineer their industrial packaging processes by creating innovative and environmentally friendly packaging solutions that will achieve bottom-line savings, green and boost supply chain efficiency. 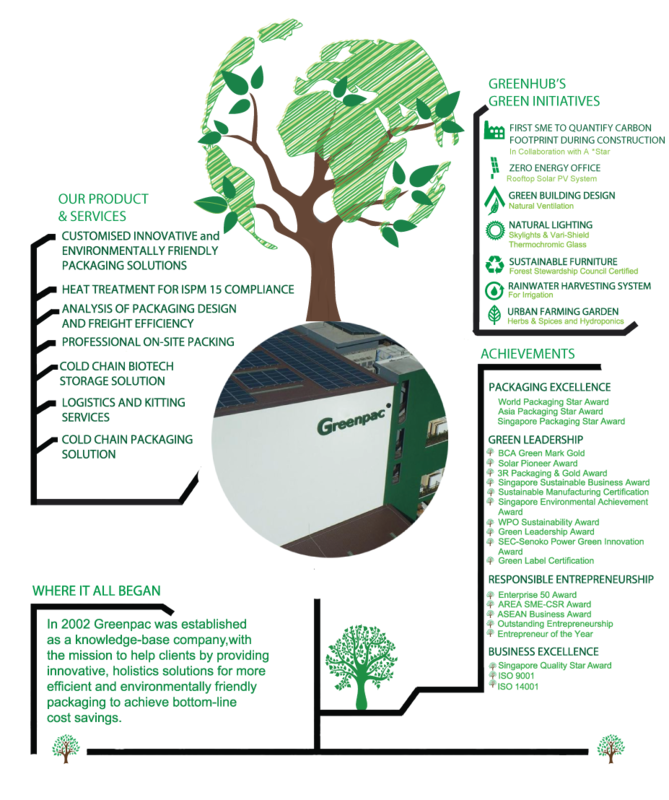 Today, Greenpac serves Fortune 500 companies and is the market leader for environmentally friendly packaging solutions in Asia. Continually sourcing and bringing cost-effective packaging solutions to customers. At Greenpac, we endeavor to create an organizational culture where corporate social responsibility forms the core of our business model. We are committed to running the business in an environmentally friendly and pollution free manner, complying with requirements of ISO14001 as well as other environmental legislation and regulations. We take ownership by actively pursuing environmentally friendly means to protect the environment and meet our organizational needs. © 2018 Greenpac. All rights reserved.